Often asked questions about Discovery Park. Discovery Park is situated roughly 5 miles northwest of downtown Seattle on the western point of Magnolia. For directions, click the button below. What kind of programs does Discovery Park offer? Through the Discovery Park Environmental Learning Center, Seattle Parks and Recreation offer a Nature Day camp, a Nature Kids Pre-school and volunteer opportunities to teach the public about the Park. We are always in need of volunteers and Discovery Park offers a range of volunteer opportunities. From teaching visitors about local flora and fauna to large scale restoration projects, we can help you find the best opportunity for you! Check out the Seattle Parks and Recreation Volunteer Calendar to see whether there are any Discovery Park work party opportunities coming up. Where is the new children’s playground? 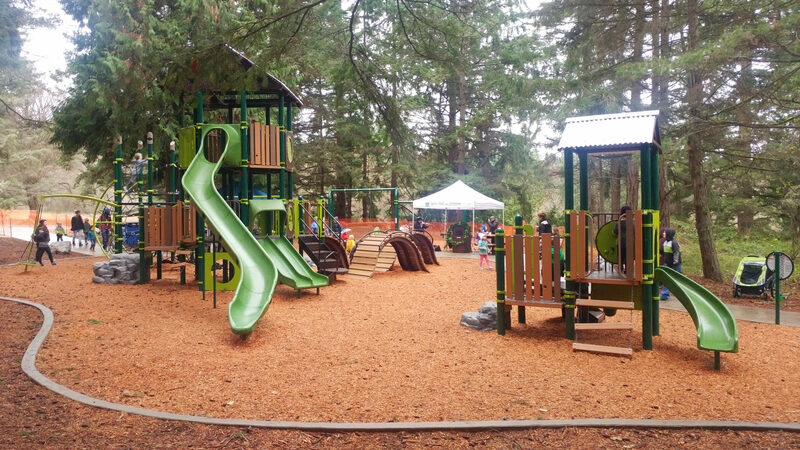 The new playground is located a short distance from the Environmental Learning Center on the paved path which starts just to the left of the main door. It is past the tennis court and basketball court. Where can I ride my bike in Discovery Park? Bikes may be ridden on all the paved roads and trails in the Park. Bikes must be walked on any soft surface trails. Can I do Orienteering or GeoCaching in Discovery Park? These activities are discouraged in the Park as they often involve going off trail into sensitive wildlife habitat. However, a permit may be obtained from the Parks Department for such activities if an approved route is provided. 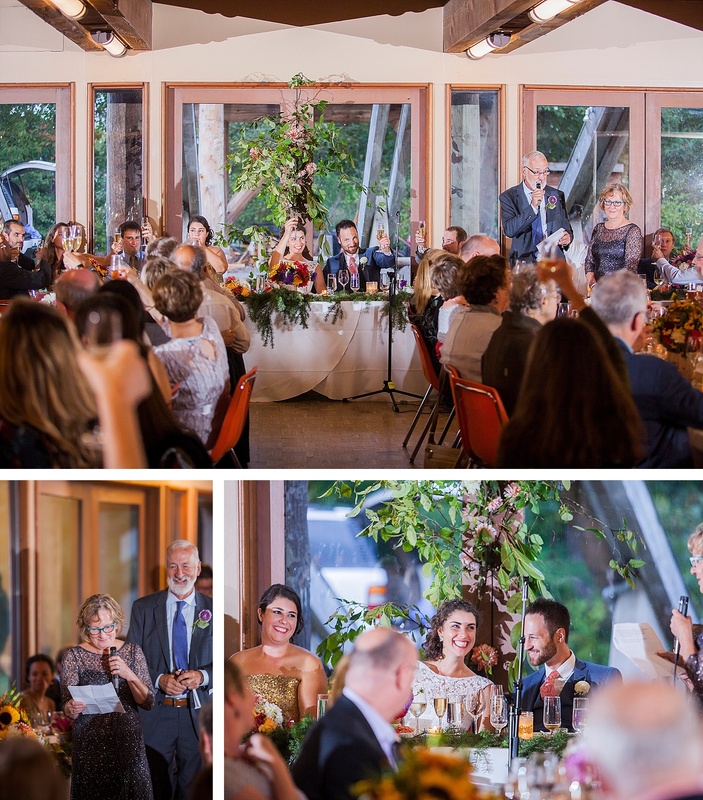 Where can I have a wedding in Discovery Park? The only place weddings can take place is at the Daybreak Star Indian Cultural Center, either in the building or at approved locations near the building. Arrangements need to be made with Daybreak Star and there is a fee. 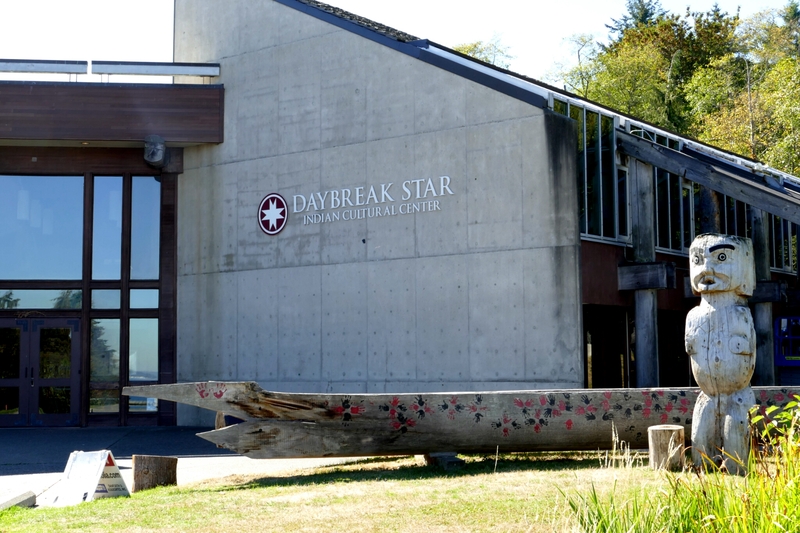 Where is the Daybreak Star Indian Cultural Center? above for the North parking lot and look for the signs for Daybreak Star just to the North of the bus stop at the East end of the parking lot. The facility is open to the public and contains an art gallery and other exhibits. Can I bring my pet to Discovery Park? The only approved pets allowed on the trails or other areas of the Park are dogs and they must be on leash at all times. Official service dogs are also allowed in the Environmental Learning Center. Note: Dogs are not allowed on the Wolf Tree Nature Trail. When is the Friends of Discovery Park annual meeting? The time varies, but it is usually in March and is announced to all members via an email. Where can I park in Discovery Park? The approved parking areas are the East Lot (next to the Environmental Learning Center), the North Lot and Bay Terrace extension which is reached via Commodore Way and 40th Street or via Texas Street (through the Army Reserve area) or via Illinois Avenue (up the hill past the Environmental Learning Center), and the South Lot (off of Emerson Street). Parking passes may be obtained for the very limited parking at the Lighthouse for those meeting the requirements. Can I drive to the Lighthouse? To drive to the Lighthouse you need a parking permit obtained at the Environmental Learning Center. Permit requirements vary by season, but normally include those with official handicapped permits, those who are seniors and those with children under five. In the Summer, when the shuttle bus is running, only handicapped spots are available at the Lighthouse. 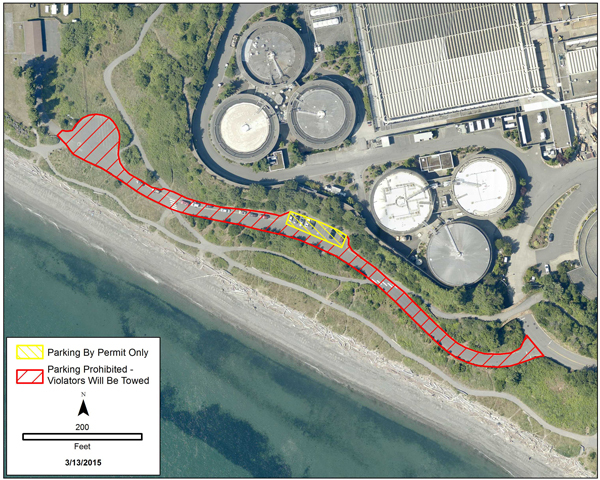 King County to continue enforcing no-parking rules in emergency areas outside West Point Treatment Plant. Cars parked illegally will be towed at owner’s expense. Note: Illegally parked vehicles in the emergency access areas adjacent to the beach area will be towed at the owner’s expense.